I know it's lame to post photographs of your pets. And I know this is supposed to be a digital-free zone. But I only had my iPhone to hand and my dogs are cuter than everyone else's so the usual rules don't apply here. 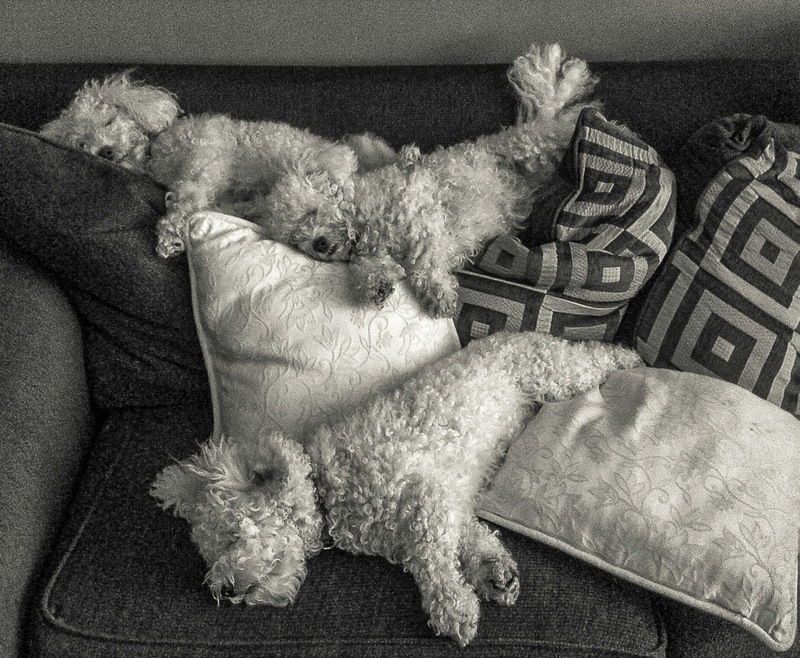 Top-to-bottom, it's Maggie, Molly and Hamish, three bichons who decided to take over the settee today. Sadly, I had to boot them off because you can see the damage they do to the cushions. They moved on to their "shanty town". That's what I call the dog bed, blankets and pillows they normally inhabit in the kitchen. No rules broken. 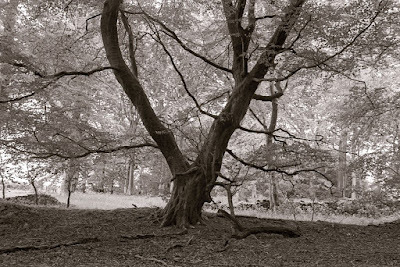 I live with 6 spaniels and they are great image subjects. Your dogs are obviously in a great home. They're spoiled rotten although overdue a bath which you can probably see from the pic! I make that a vet/food/etc equivalent of an M6/Summicron combo and enough film to satisfy it every year! Just joking - nice photograph actually! Actually you're dead right, Phil. I keep joking to Cath that if we sold the three of them I'd have enough cash for an M2 and a Summicron. We bought Molly first but felt a bit sorry for her as she was being left on her own more than we intended so we got Maggie to keep her company. My brother bought Hamish for our mother to keep her company but he wouldn't settle so we ended up with him as well. They've got the sweetest nature of any dogs I've come across but they are yappy little buggers sometimes! Pets are quite a proposition - we dog-sit for people on rare occasions, but it is always nice to get the house back to normal! Do you find dog hairs a problem with your negs? One of the reasons we got the bichons is because they shed hardly any hair. They've got that wooly stuff like poodles. They're more like sheep than dogs really. So hair isn't really a problem. Farting can be at times, though. Going to take up knitting then? Imagine that . . a dog-wool jumper . .
Any dog shot is a good shot.